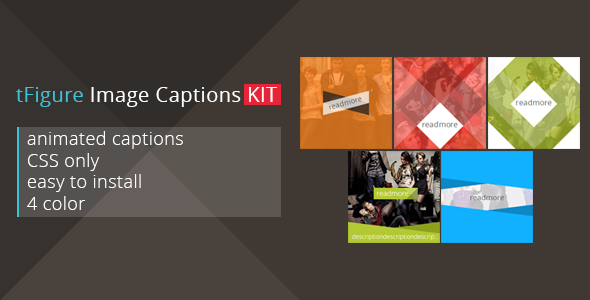 tFigure - Image Captions - CODELISTPRO | Free Premium Scripts, Plugins, Apps Source Code. Small collection of 5 CSS-only animated Image Captions. This kit stuff will save you a lot of time when creating websites! They’re really easy to use and have very nice interfaces. Enjoy!